Venezuela will modify its complex currency controls and add a third new exchange system where dollars will be offered through private investors. This is to combat the black market and keep the existing three-tier model, said President Nicolas Maduro. The official exchange rate to the dollar will remain fixed at 6.3 bolivars for government imports, payments for essential food and health services. The two other existing currency auctions, where the dollar was sold for 12 and 50 bolivars, will merge into one. The president stressed that the functioning of the three currency markets in Venezuela will have a temporary nature, until the economic situation improves. The country’s government has been imposing strict currency controls for many years. Private exchange is illegal and severely penalized. The country has a fixed public exchange rate, largely different from the actual market rate. The Venezuelan Central Bank last sold dollars at the two secondary auction markets for 12 and 52 bolivars when on the black market the dollar was traded at 180 bolivars. Imposing tighter currency controls was a measure taken to ease the economic struggle, as the government avoids cutting social spending while its approval rating falls. 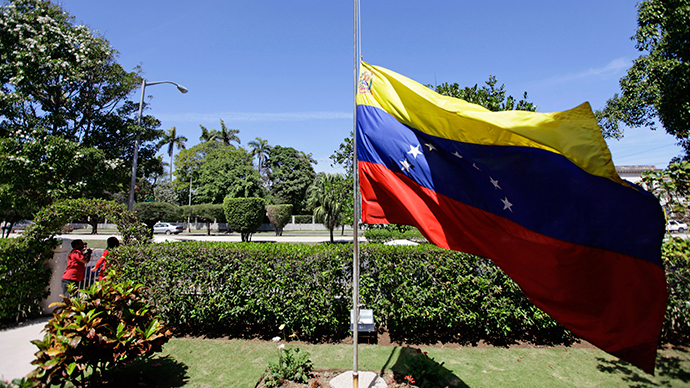 Oil, Venezuela's main source of income, accounts for 96 percent of the country’s exports. A drop in the oil price of more than 60 percent since June has made the country teeter on the brink of a debt default. Until recently, President Maduro talked about a "fair" oil price of around $100 per barrel. Earlier in January he paid visits to a number of oil exporting countries, among them Iran, Saudi Arabia, Qatar, where he continued “to make efforts at the highest level to recover the world oil prices." Eventually Maduro admitted that world oil prices will not return to their previous level. "Oil won't return to 100 [dollars per barrel], it won't return. We have to generate new sources of income for the country," the president said. Despite a deep economic crisis the president promised that the state budget will not change. "It’s going to be a year of challenges. We have developed a budget, based on the price of $60 per barrel, and now its $40,” he said.